Per Scholas provides tuition-free technology training and professional development, helping unemployed and underemployed adults find successful careers as IT professionals. Per Scholas operates six cities across the country, and to date, has trained 6,000 individuals, helping them build lasting, life changing skills and careers in technology. 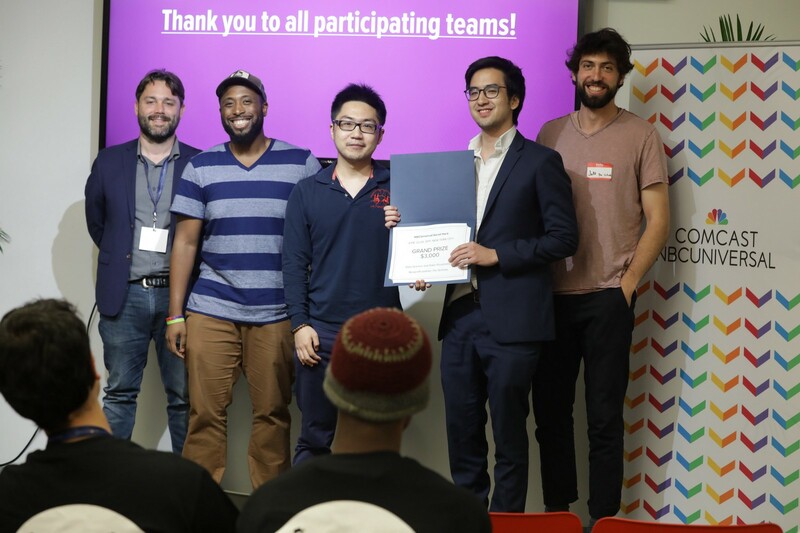 Teams in the Per Scholas track focused on prototyping with data science and data visualization, specifically around keeping the organization’s vast network of alumni engaged with their community. Move for Hunger works with relocation companies to collect non-perishable food items, and deliver it to food banks all across North America. Many people throw out a good deal of “stuff” when they move. Unfortunately, a lot of this “stuff” is food that could be delivered to a family in need rather than discarded. By teaming up with relocation companies across the country, Move For Hunger is creating one of the nation’s largest year-round service programs. Teams in the Move for Hunger Track worked with UI/UX design to bring awareness to the organizations booking resources. 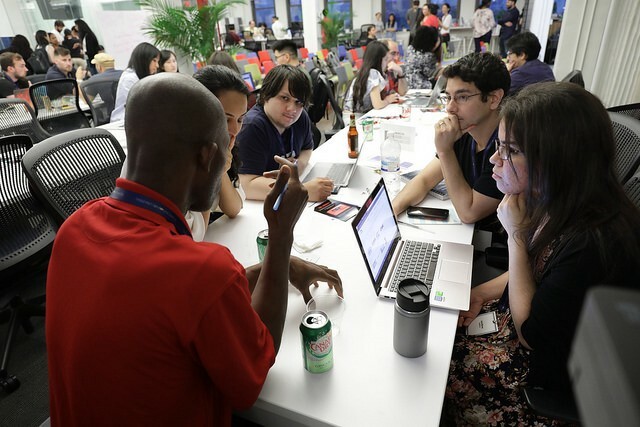 Throughout the hackathon, the nonprofits provided subject-matter mentorship and firsthand experiences in addressing community challenges. 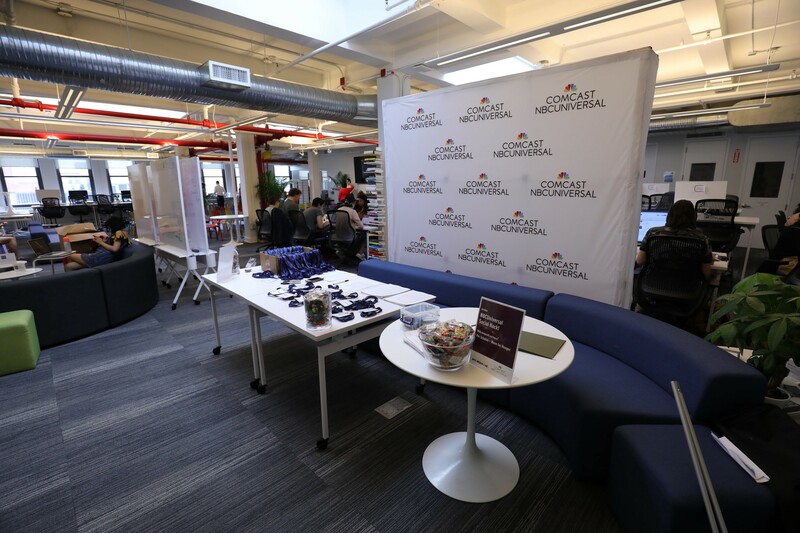 In addition to oversight from the nonprofits, NBCUniversal provided intensive workshops and webinars from leaders at Amazon and Salesforce, which helped participants further develop their technical knowledge of available tools. 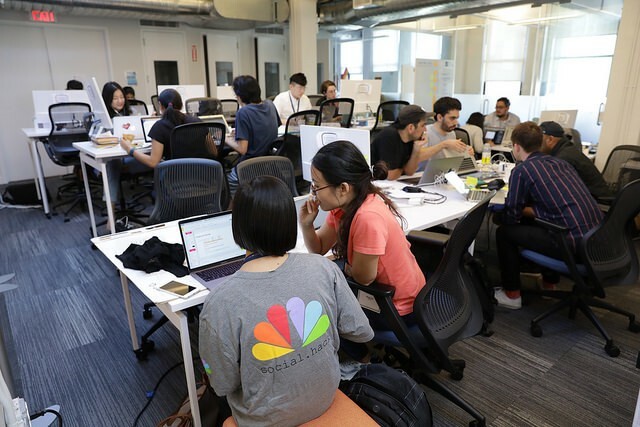 Industry mentors from NBCUniversal also met with each team, applying their expertise in data science, data visualization, user experience, and interaction design to assist the teams with concept development. 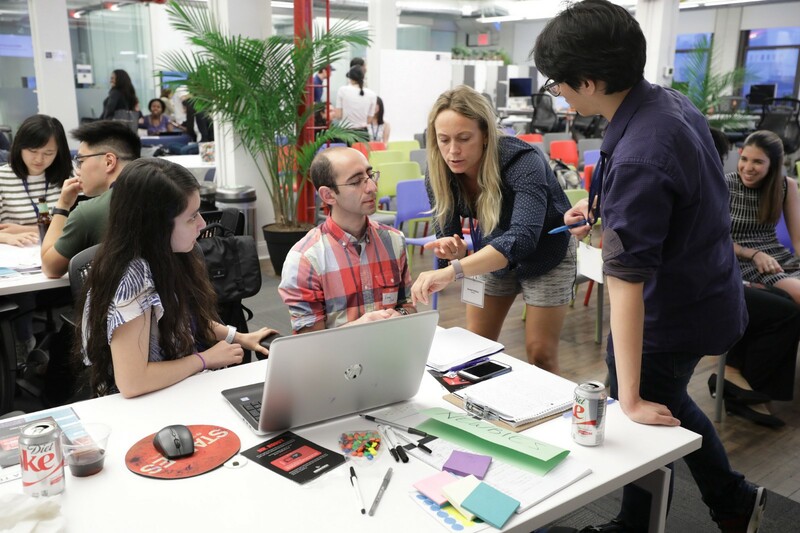 Mentors from NBCUniversal included: Michael Ibrahim, Director Innovation Products, Media Labs; Sam Harrell, Research Director & Lead Developer, Media Labs; Doga Kerestecioglu, Senior Manager, Management Sciences; Zeidee Pineda, Manager, Management Science & Integration; and Todd Rimes, Sr. Product Manager, DPIM, TVE Services. 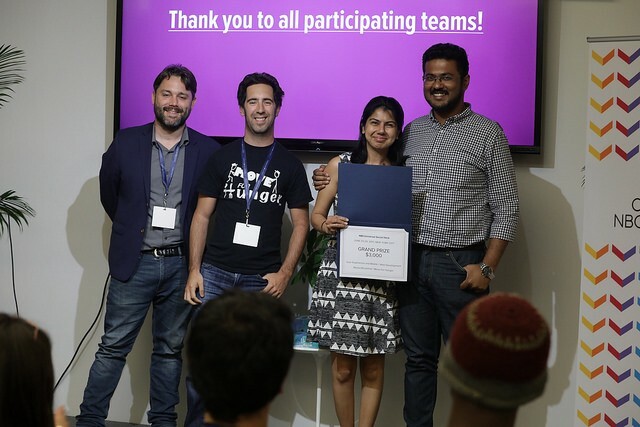 In a rapid pitch session on June 24th, each team presented working prototypes and live demonstrations to a panel of judges, including: Sowmya Gottipati, VP, Media Labs, NBCUniversal; Jessica Clancy, VP, Corporate Social Responsibility, NBCUniversal; and Andrew Pinzler, Head of Innovation Labs, TODAY Digital, NBCUniversal. Representatives from Per Scholas and Move for Hunger also served as judges. 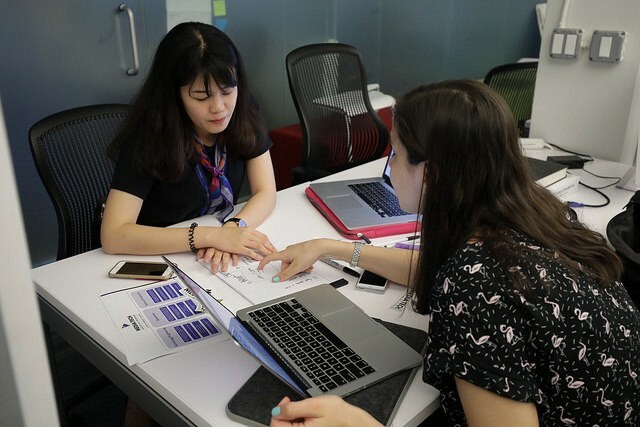 Prototypes were assessed based on their demonstrated uses of technology, their levels of originality and innovation, and on the teams’ capacities to articulate their visions as it related to the competition’s goals. A web and mobile app that addresses Move For Hunger’s current challenges of mission awareness and food drive organization. The app generates beautiful marketing collateral and shares the collateral on social media channels. The app also involves search/discovery partnerships with movers and packaged food companies, creating awareness of the program. A online community, featuring an AI chatbot, for everyone to host a successful food drive event. A simplified user experience for moving companies and food drive organizers. A redesign of the Move For Hunger website to make it more user-friendly for planning moves and donating food. A mobile social app for Per Scholas to increase engagement through job listings, profile system, and chat systems. The app also includes a point system to incentivize alumni to be active. Provide data visualizations for coaches as well as alumni. A Facebook Messenger chatbot for Per Scholas alumni to connect with Per Scholas. Gamifying alumni engagement to extract actionable insights for Per Scholas staff.